The Volkswagen emissions cheating scandal has led to major fines and criminal charges in both the US and the EU. It has also led to major changes in how the Environmental Protection Agency (EPA) performs emission and fuel economy testing to ensure compliance. The EU has already implemented its combined lab test: Worldwide Harmonized Light Vehicle Test Procedure (WLTP) and its on-road test: Real Driving Emissions (RDE). In this conference the EPA will discuss how it has modified its testing regime approach, using both laboratory testing and on-road testing for emissions and fuel economy, the EPA’s current evaluation of the European RDE approach, and also EPA’s plans for highway heavy-duty real-world assessments. EPA will also discuss the consumer fuel economy label, information regarding how the label relates to consumers actual experiences, and what opportunities may exist with modern technology for consumers to receive more personalized fuel economy information specific to their driving. We also expect to hear from manufacturers about how they expect these tests to affect their processes. The timeline for implementing these changes will also be an issue for both manufacturers and suppliers. We expect fuel economy ratings to decrease, but the decrease may be different for some vehicles. We will discuss this issue as well as what this means for the consumers’ views of their vehicles and the environment. What are the main testing procedures that are being used and how might they change in the short and long term? How will the new procedures affect company CAFE goals? Should the United States consider using the European RDE approach for light-duty, or the European heavy-duty Work-based Window approach? What changes have the vehicle OEMs made to their processes as a result of the increased scrutiny in both the U.S. and in Europe? How do any of these changes impact consumers? With modern IT and mobile apps, can consumers move beyond the window-sticker fuel economy label and receive more accurate and personalized fuel economy estimates? Bruce Belzowski, Managing Director, Automotive Futures, will moderate the conference and present his research on the different New Mobility lines of business. Byron Bunker, Director, Compliance Division, US Environmental Protection Agency, Office of Transportation and Air Quality, will discuss EPA’s evolving approach to ensuring compliance with emissions standards. 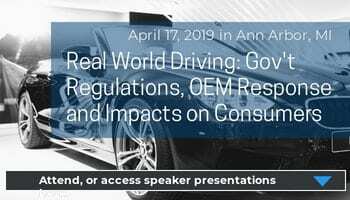 Lisa Snapp, Director, Climate Analysis and Strategies Center at the US Environmental Protection Agency, Office of Transportation and Air Quality, will talk about real world fuel economy and CO2 emissions information and its value to consumers. Samuel Klebaner, Researcher at the University of Bordeaux, College of Law, Political Science, Economics and Management, will present the EU case for the Worldwide Harmonized Light Vehicle Test Procedure lab test (WLTP) and the on-road test: Real Driving Emissions (RDE): what are the recent regulations; the governance of the regulations and the impact on competition and technological change. John German, Senior Fellow, at the International Council on Clean Transportation, will discuss the advantages of both the new EPA testing models and the EU WLTP/RDE testing models. His group was the original group that triggered the VW Emissions Scandal through their independent emissions testing. Chris Nevers, Vice President of Energy and Environment for the Alliance of Automobile Manufacturers, will present a manufacturer view on the EPA new emissions testing procedures. Leo Breton, Technology Development Director, Horiba, will discuss his company’s development of the Portable Emissions Management System (PEMS) technology that allows companies and regulators to consistently reproduce on-road conditions in lab testing. 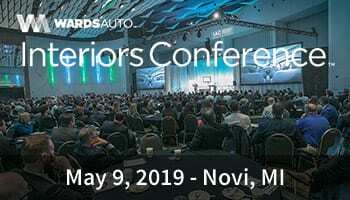 Our 11th annual conference focused on the Future of Automotive IT shows the different sides of automotive IT and how it continues to change automotive organizations and vehicles. Our 12th annual Inside China conference has traced the rapid rise of the Chinese auto industry. 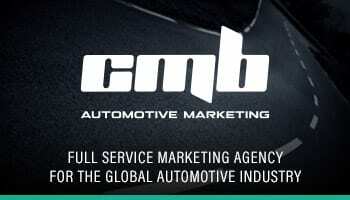 The largest automotive market in the world is such a unique market that it demands that we continue to examine both its current and future trends from a variety of perspectives: consumer choice, marketing, product development, government support and regulations, alternative energy, automotive research and development, industry structure, labor, economic impact, and manufacturing.